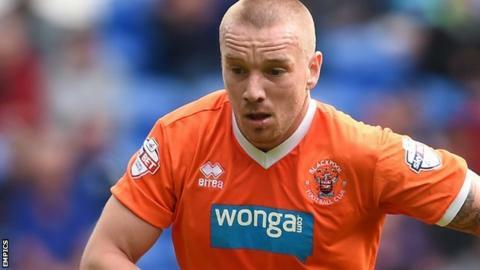 Fulham have signed Jamie O'Hara on a one-year contract after the midfielder left relegated Blackpool. The 28-year-old former Tottenham and Wolves player made 28 appearances for the Seasiders in 2014-15. O'Hara was offered a new contract by Blackpool at the end of last season but decided to leave the club. He becomes Fulham boss Kit Symons's fifth signing of the summer, following Ben Pringle, Andy Lonergan, Tom Cairney and Jazz Richards to Craven Cottage. "I'm absolutely delighted. I've had a couple of weeks training with the team," O'Hara told the club website. "I've worked hard and now it's paid off. I have to thank the manager for giving me the opportunity."